It's no secret that here at Sharkadina, we love kids. And kids love The Shark. As we revealed in our interview with Dan Steinberg, we work at a children's theatre: Imagination Stage. We have an entire section on our blog full of fun activities for kids. 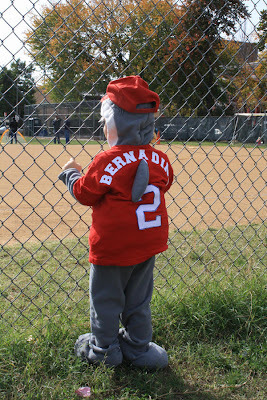 We once brought an entire group of 9 year olds to Nats park for a Shark-themed birthday party. Speaking of birthday parties, we have even showcased the best ever shark birthday cakes. Why would a kid want to dress up as The Shark? 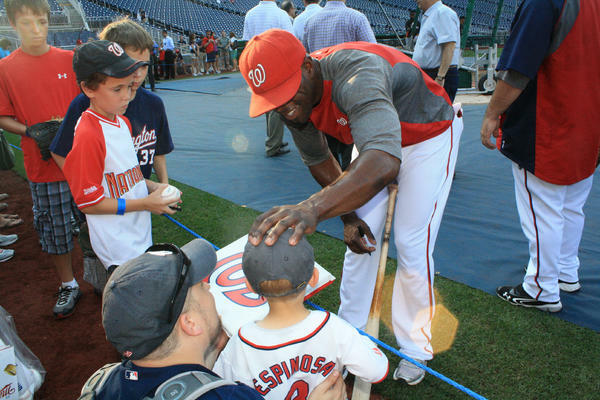 All it takes is an in person encounter with the nicest guy in baseball. 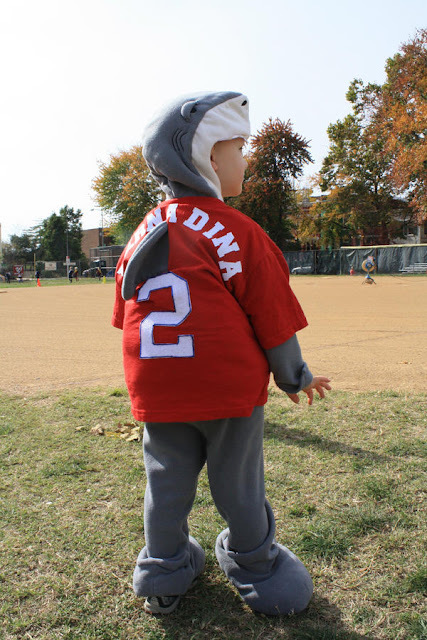 After being blessed by The Holy Shark, this little Sharkadina Jr. quickly ditched his Espinosa jersey for the full on Shark suit, which has, to date, only been seen in the wild during Shark Week or attacking Teddy. 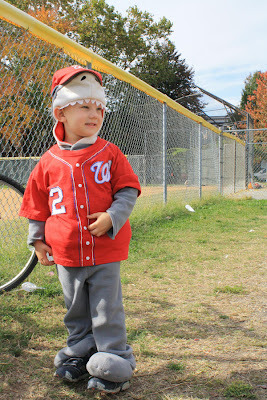 Here are a couple more photos because they are simply too cute not to post. Great work, Ryan Smith!